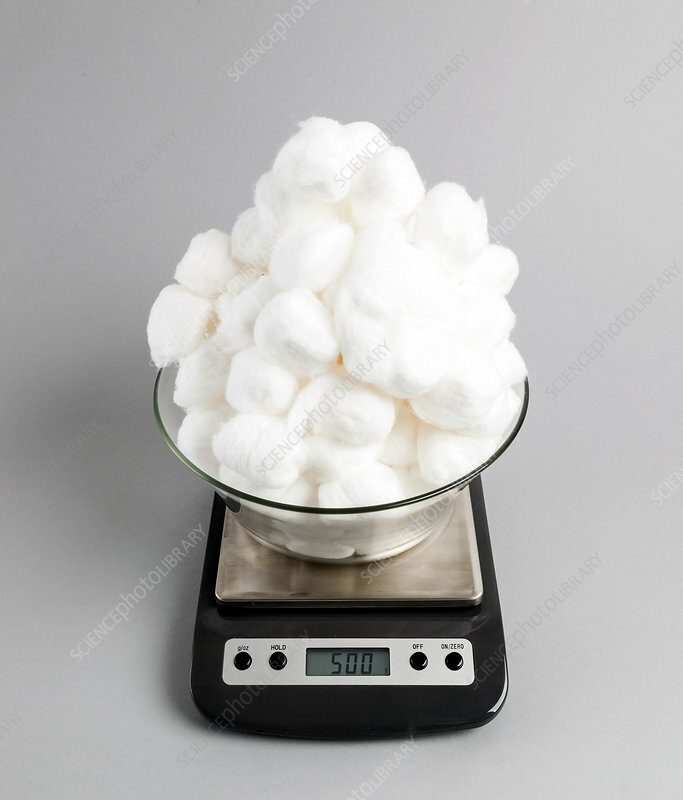 A digital scale is used to measure weight of cotton balls in grams. First in set of two images comparing different volumes giving the same weight. See image SS21317576 for lead weight.